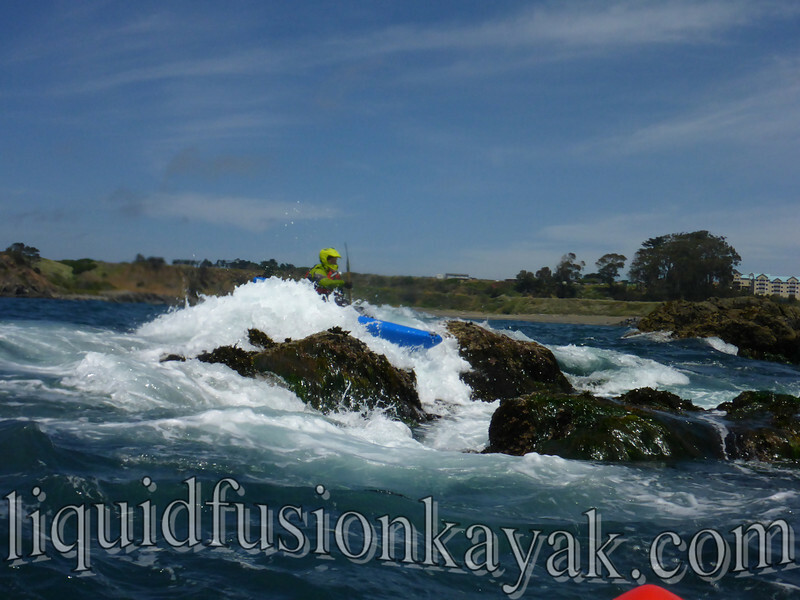 Hey California Whitewater Kayakers!!! Don't let the drought get you down. 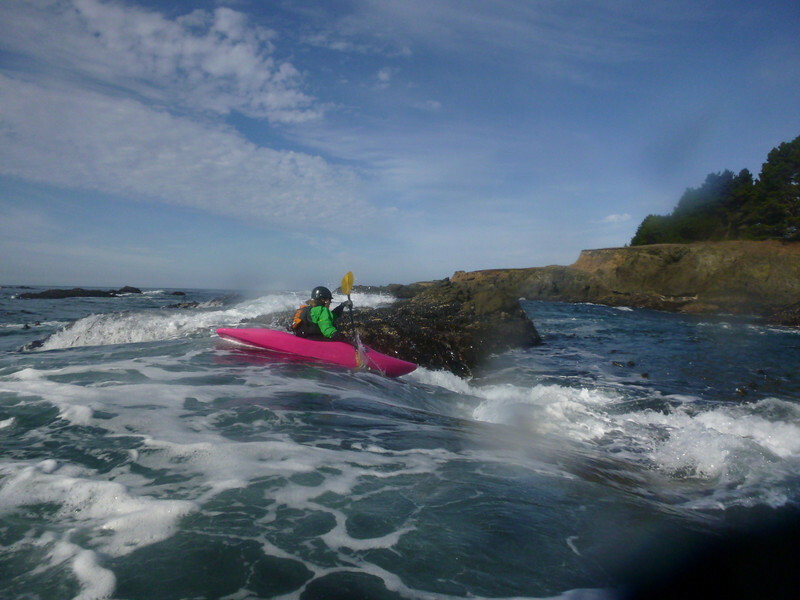 Avoid the weekend crowds on the South Fork of the American River and come kayak and play with us in the Whitewater, Surf, and Rock Gardens of the Mendocino Coast. 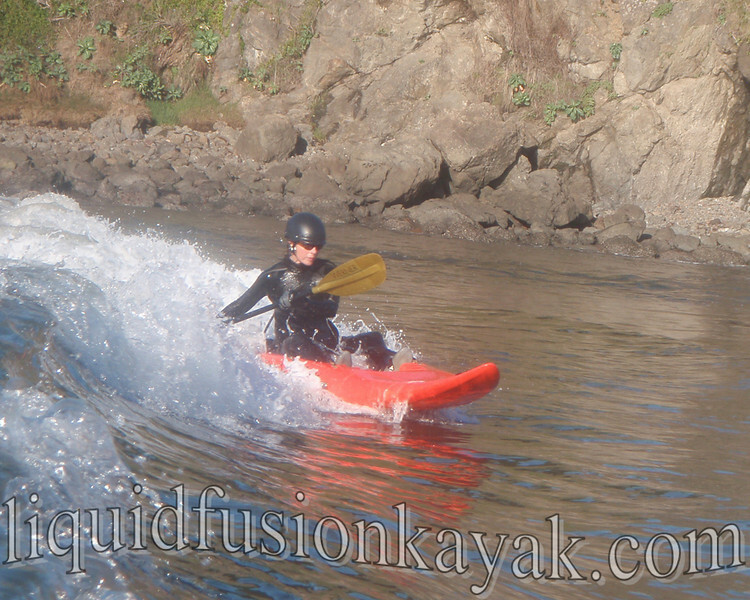 Even on the calmest days we have whitewater features and surf to play and kayak in. No crowds. 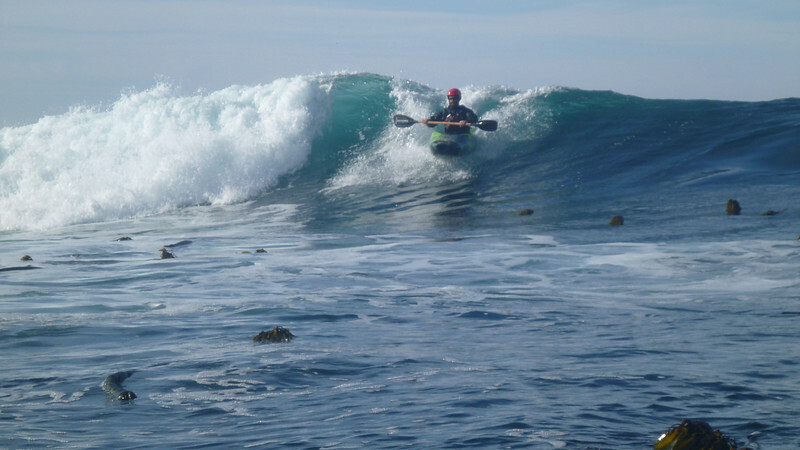 Our maximum trip size for a whitewater of the sea adventure is typically 4 paddlers. "Off the beaten paddle." Sure you can come paddle here with other kayak guides or friends. They will likely take you to Van Damme or Russian Gulch - where you may experience crowds. 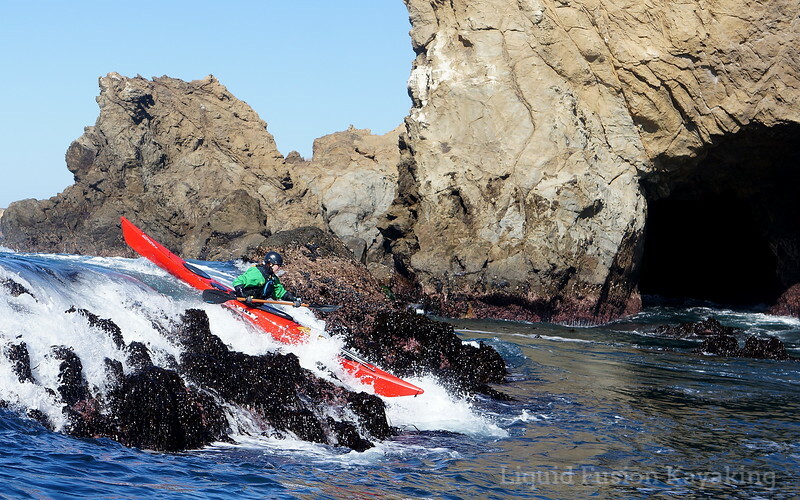 If you want to experience the best of the Mendocino Coast - best go with the locals. 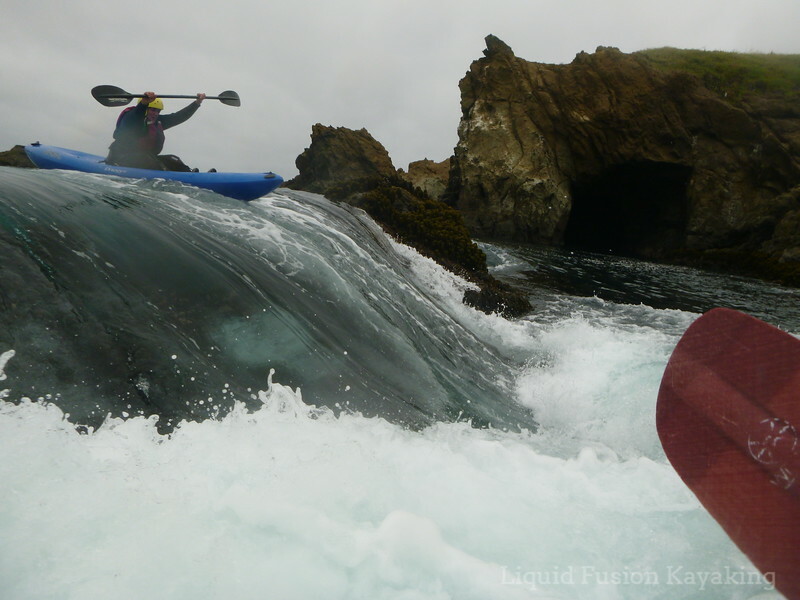 No roll, no worries, enjoy the ease of our whitewater sit on top kayaks. 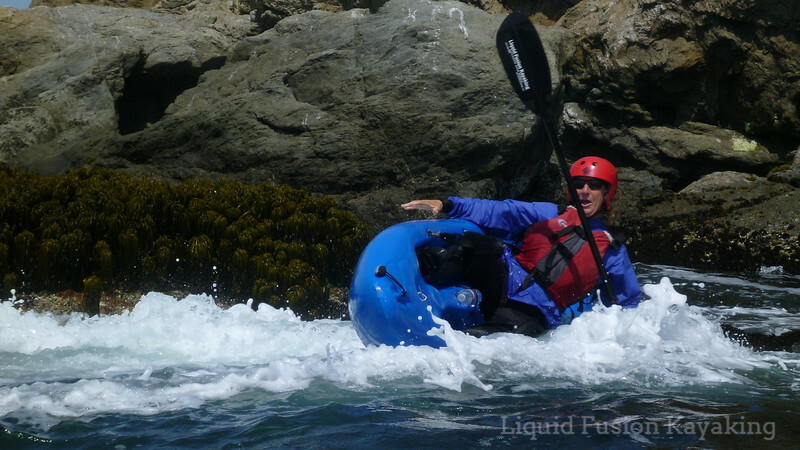 Wanna get your adventuresome friends, family, or significant other hooked on whitewater kayaking - bring them on a trip with us. We'll get them hooked. Just know let them know that carnage happens . . . everyone falls in sooner or later. 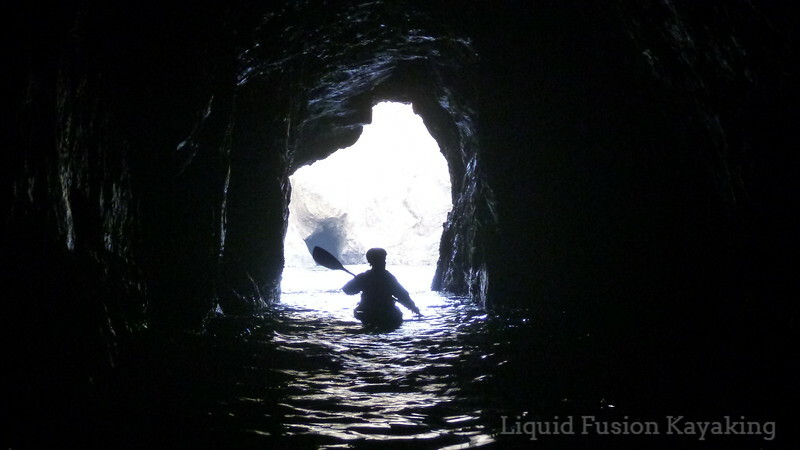 Kayaking in sea caves is a cool experience. 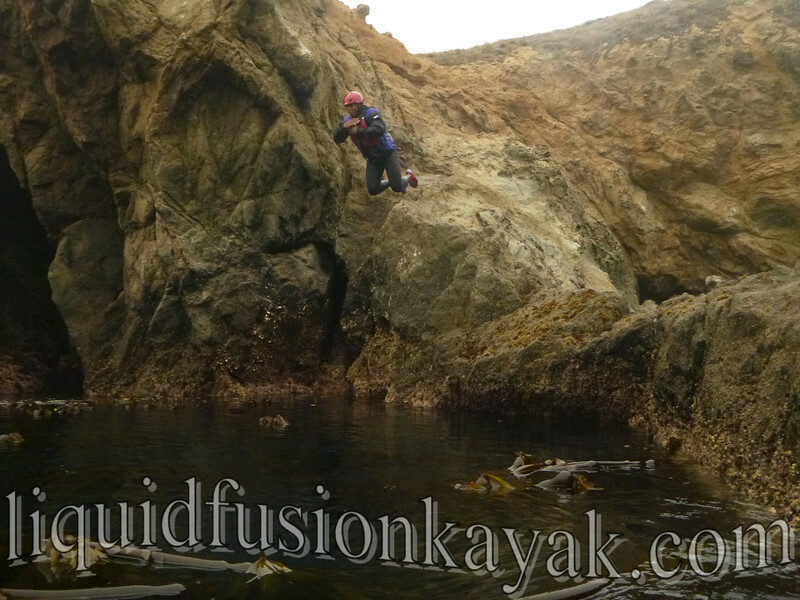 Even cooler is jumping off rocks into the ocean. But don't take our word for it . 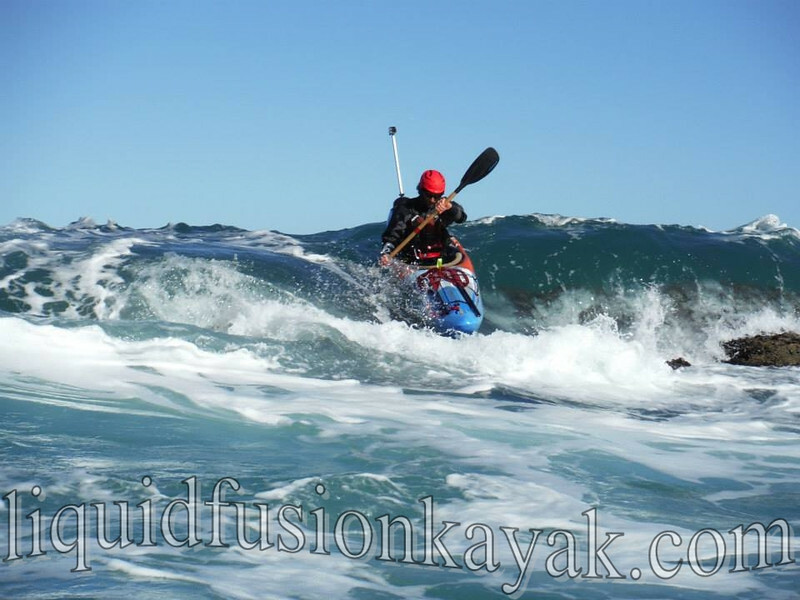 . . Give us a call and come play in the Whitewater of the Sea with us!!! 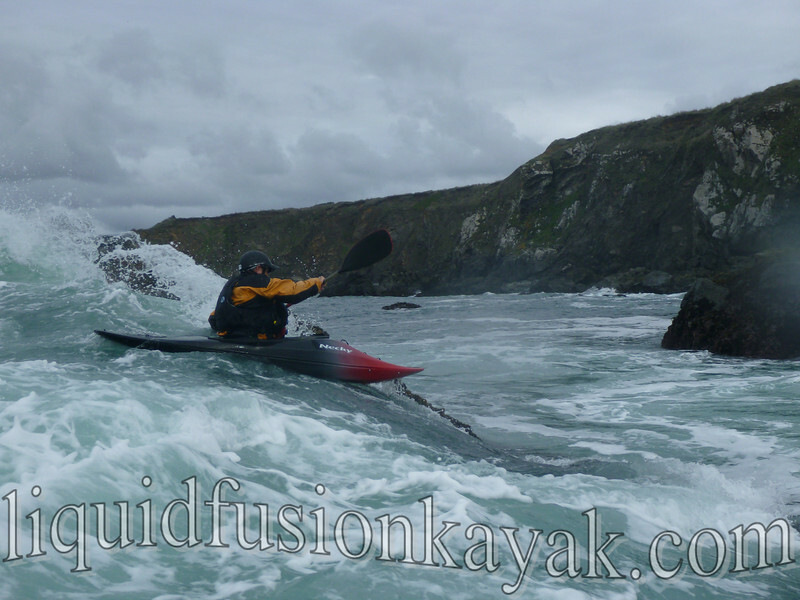 Ohhh - so you wanna rock garden and explore in your sea kayak? We know a thing or two about that too! 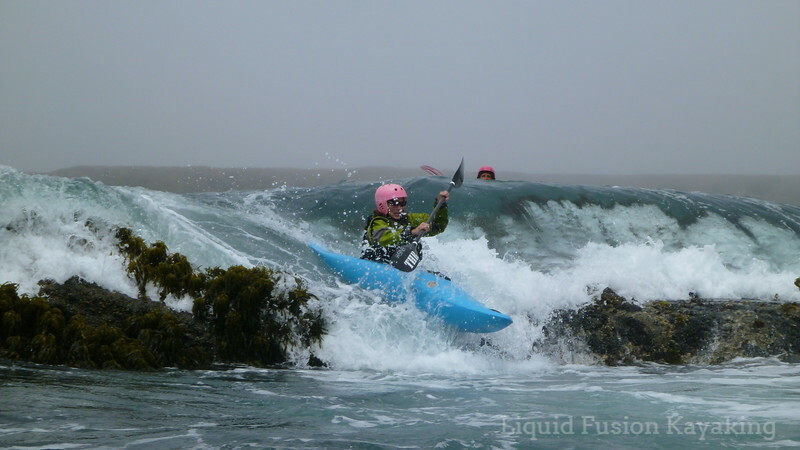 LFK's Cate riding "Nick's Nightmare" in her Valley Gemini SP Sea Kayak.